My name is Kirsten Grove and I am an interior stylist and the blogger behind Simply Grove. My passion is to create beautiful spaces for my clients all over the world. Because I am constantly looking at design, I have been quite eager to design a place of my own. After years of renting, myself and my husband Shane, along with our two kids, bought a 1957 Mid-century ranch home that we are gutting room by room. Project by project, my husband has become adept in construction, so I was so excited to put his skills to test in our new kitchen. After several months of hard work, we are happy to announce the kitchen renovation is finally complete! We took an outdated space (probably renovated in the 1990’s) and gave it new life. We removed all of the upper cabinetry and removed a part of a wall. We then removed all of the granite and appliances. The old space also doubled as a laundry room, so we decided to build a new laundry room off of the garage in an extra storage room, giving the kitchen a lot more space to work with. We wanted to save some money so we used the existing cabinetry and painted it a dark blue/grey. 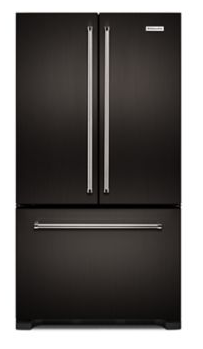 This color compliments the black stainless appliances that we got from KitchenAid – and I am completely obsessed with the look! 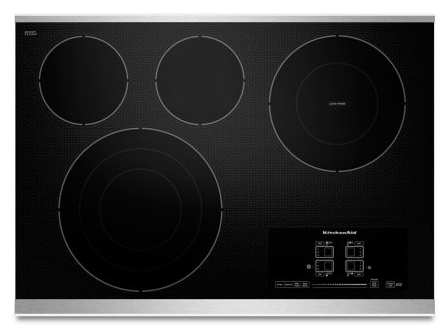 The black stainless is so sleek and looks amazing paired with more traditional elements. We also went super dark with the soapstone counters, which creates a beautiful composition with the black stainless. And because we chose not to do tile but kept the walls stark white, the contrast creates a striking look. 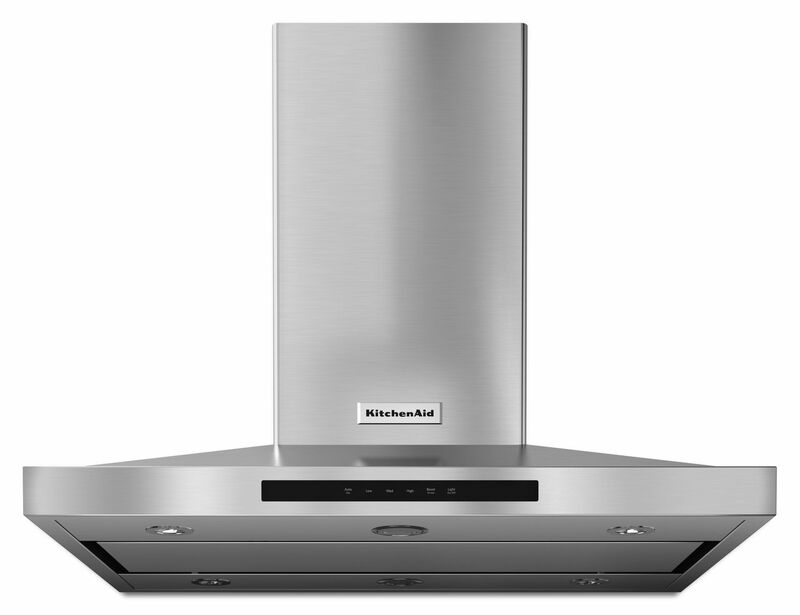 KitchenAid always brings their A-game when it comes to appliances. 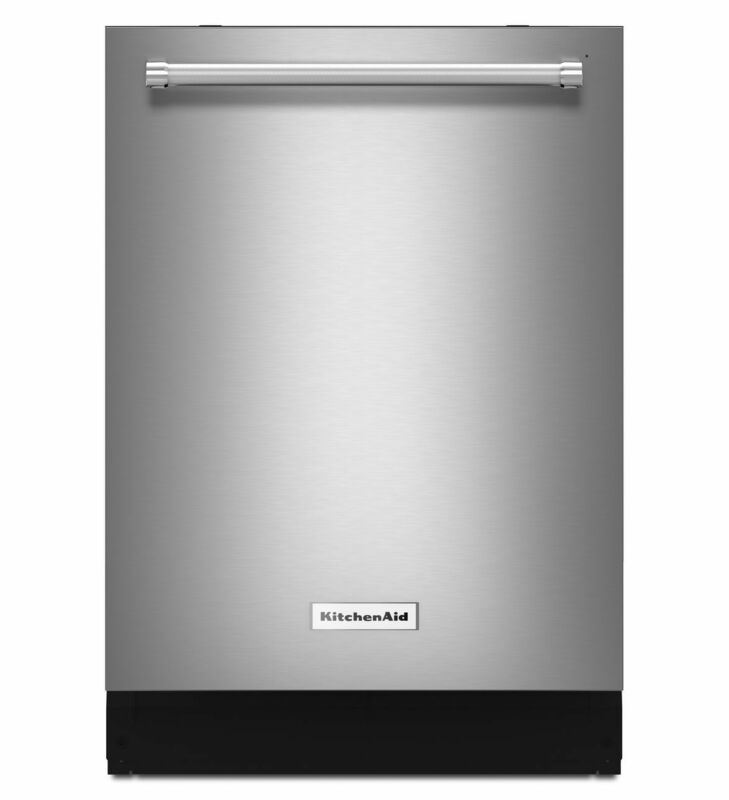 This KitchenAid® French Door Refrigerator has everything that I need, including a water dispenser hidden inside the Refrigerator itself. I love that detail! 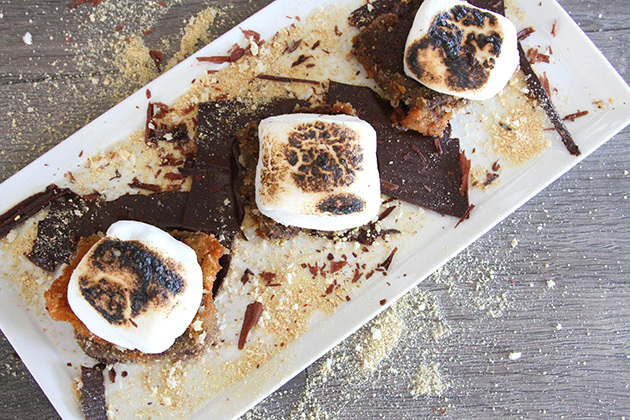 My daughter loves to bake, so this KitchenAid® Double Wall Oven with convection cooking was a necessity. We created a wall unit/pantry that is sleek and matches the modern lines of the Double Wall Oven. 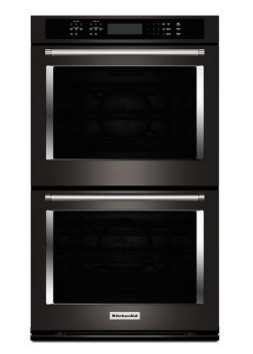 The Double Wall Oven also sits near our KitchenAid® Canopy Hood and Electric Cooktop. I loved pairing the black stainless appliances with an industrial stainless hood. The color combination is beautiful in this space. The KitchenAid® Dishwasher is as quiet as a mouse! Seriously. I can’t even hear it. And the sleek front panel looks so stylish in this kitchen. It also has a third level rack for silverware, spatulas, wooden spoons, and all those other pesky-to-place utensils, which is THE BEST! I am thrilled with the way this kitchen turned out! The black stainless appliances took it to the next level. Now if you don’t mind, I will be over here enjoying my coffee.